The most essential auditory experience created by architecture is tranquility. Architecture presents the drama of construction silenced into matter, space, and light. Ultimately, architecture is the art of petrified silence. Sound is an ephemeral, invisible—but vital—component to any space. It, too, is shaped by design. 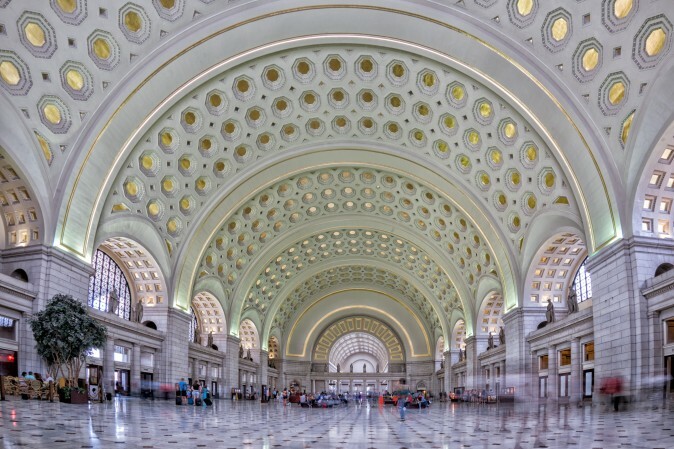 For architecture to be life-enriching, Pallasmaa wrote, it must engage all our senses and become an experience that connects us to the world. “Architecture articulates the experiences of being-in-the-world and strengthens our sense of reality and self; it does not make us inhabit worlds of mere fabrication and fantasy,” he wrote. We may not normally be aware of the sound around us, but it nevertheless grounds us and unconsciously fills the gaps in our understanding of a place. The sound of a building adds as much to its character as the way it looks, he added. We use hearing as well as sight to gauge distance and judge the surrounding landscape. We hear a room as much as we see it. 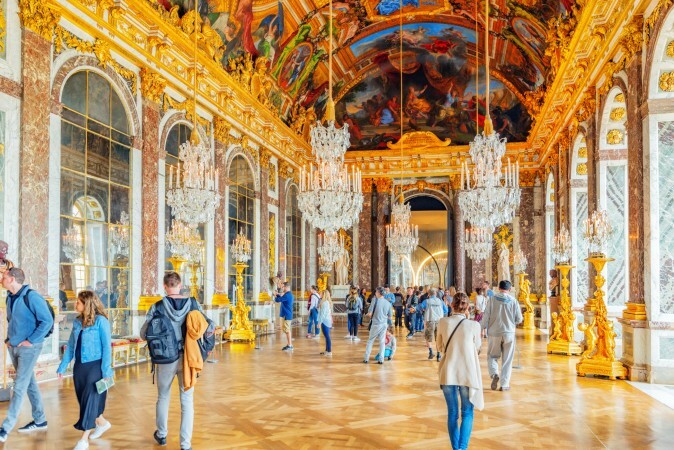 For instance, multiple studies have found that high ceilings give people a sense of freedom, leading to more creative thoughts and happier states than being in rooms with low ceilings. But, if a room is much higher than it is wide, it can create a negative, oppressive or belittling, feeling. We hear these perceptions too. A broad and tall room with an airy feeling and no echo when you speak is different from a narrow and tall one that has an unusual echo, or an asymmetrical room in which your voice takes on a mild warble. More subtle differences become evident when recorded; in moments of what seem like silence, spaces still produce a frequency that differs from room to room. And studies have shown that people can match audio clips recorded in rooms to photographs of the rooms. Tony Hiss, author of “The Experience of Place,” wrote that when stepping into Grand Central Terminal, “I felt as if some small weight suspended several feet above my head that I had not till then even been aware of, had just shot 15 stories into the air.” It was not because he saw the high ceiling, he wrote, but because he felt a change in sound and the air around him. According to one study, many religious buildings in the world have circular layouts and, consequently, very pleasing acoustics. It examined in particular an 18th-century hall in a Cairo monastery, a space that was used for “spiritual listening, in order to listen to the harmony of the cosmos.” It found that the circle-based geometry created a resonant frequency of 7 to 14 hertz, similar to the range of 8 to 15 hertz found in the alpha brain waves of someone in a deeply relaxed state. That said, the sound of a building will affect how pleasing that building seems to us, but what the building looks like can affect how we think of its sound as well. When we think of consciously designing the sound of a space, the top examples must be concert halls. The golden sound of the Musikverein in Vienna, the tragic acoustic mishap with the old Philharmonic Hall in New York—these examples provide us with a mini-history of acoustical engineering. 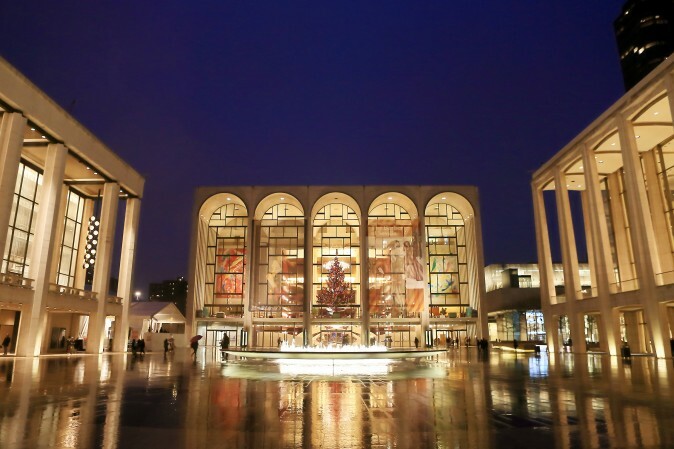 It was April 1966, and the new 3,900-seat Metropolitan Opera House at Lincoln Center—the same theater we know today—opened with a student matinee performance of “La Fanciulla del West.” It was the first full acoustic test of the theater—and what a relief! Until the opera house was built and finished and its stage performed on, no one really knew exactly how it would sound. This success was an anomaly at the time. Some of the concert halls largely regarded as the best sounding in the world were the Musikverein in Vienna (1870), the rebuilt Gewandhaus in Leipzig (1884), the Royal Concertgebouw in Amsterdam (1886), and the Symphony Hall in Boston (1900)—all “shoebox” shaped halls that seated fewer than 3,000 people. All were highly ornamented on the interior and, notably, not designed by anyone with knowledge of acoustics. Then came the age of modern architecture: sleek buildings made of concrete, glass, and steel, with math and science to back it all up. In the middle of the 20th century, developers, architects, engineers, and steering committees built a long string of concert halls that sounded bland, despite the fact that acoustic engineering was becoming a legitimate area of study and work, and the consultants had ways of calculating how buildings would sound. The late acoustic expert Leo Beranek, who authored many of the acceptable noise standards we have today, was one of the first to enter the field. At age 102, in an interview with acoustic engineer Willem Boning on the blog “From the Sound Up,” Beranek said that when he opened his firm in 1948, he knew nothing—and neither did anyone else. There was some research on absorption and reverberation time, and a lot of guesswork. In 1962, the Philharmonic Hall his firm worked on opened, and it was a disaster. The muddled sound set his career back, and he did not work on another concert hall for 30 years. 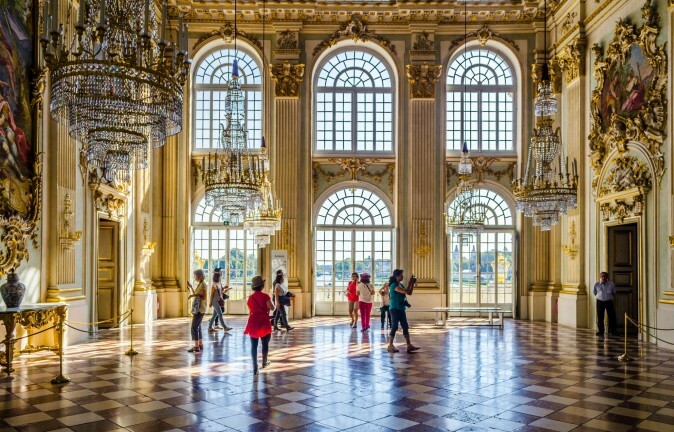 He told Boning that he had recommended irregularities on the walls and other such changes, but instead the committee hired an interior decorator to design the hall’s interior. The hall had to be redone completely, and in 1976 a renovated hall, the Avery Fisher Hall, opened. Acoustic engineer Cyril Harris, a traditionalist who pushed for the use of materials like wood and plaster and who had worked on the Metropolitan Opera House as well, consulted on the project and went on to work on about 100 theaters. 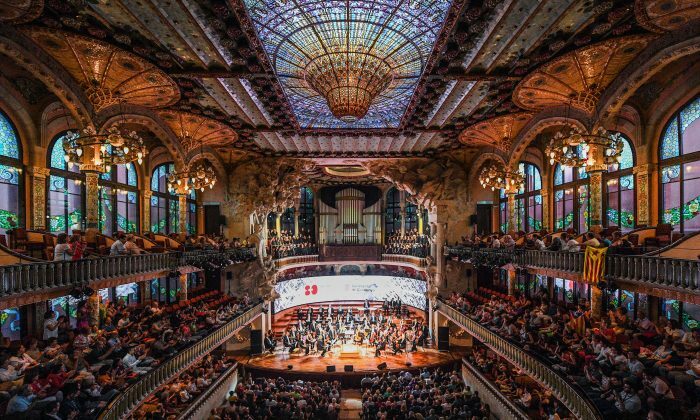 Today, several concert halls built in this century regularly make the top of the list for best acoustics. The Musikverein’s top placement has been disputed too—rankings are subjective, after all, but the hall is quite lovely to look at and has a glowing reputation. The designers of these halls have since developed better sound modeling and have had enough bad halls to heed acoustic engineers’ recommendations. For instance, consulting firm Arup built the SoundLab two decades ago. The lab itself is relatively low-tech, mostly a room with many speakers, but the way the 40-some speakers are arranged in a sphere allows the user inside the lab to hear something as it would sound if he were inside a building he was designing. The firm worked on halls like the Milton Court in London, National Sawdust in Brooklyn, the Melbourne Recital Centre in Australia, the Oslo Opera House in Norway, and the multipurpose Stormen Concert Hall in Norway. There have been many a study for which participants were asked to rate the loudness of cars or trains of different colors. Somehow, even though researchers are playing the same audio clip twice, the red train is louder than the green train. Short of painting the entire New York City subway system green, there are still some things engineers can do to control the underground din. SoundLab has also been used to consult on projects that have nothing to do with beautifying sound: Someone interested in building a wind farm may need to convince others that it really is not so noisy, or communities might want to know how much noise a high-speed rail may make. Mastering the art of concert halls has, in a way, helped bring the field of acoustic engineering to broader uses. Designing an acoustically pleasing building is still seldom a high priority, but many people have an interest in quieter schools, quieter offices, or quieter homes. In New York, the SoundLab was also used to help create a quieter Fulton Street subway station (which sees a weekday ridership of about 300,000) and led to using “low-vibration” tracks for the new Second Avenue subway line (daily ridership of about 150,000 at the four stops, a month after opening). The ceiling of the Second Avenue line also curves in a way that directs sound back towards the trains rather than to the platforms. Arup is also working with the Metropolitan Transportation Authority on a station upgrade initiative that includes noise control measures, mostly so the messages broadcast to commuters can be heard clearly. Much of this involves the use of different materials for the finishes, like absorbent fiberglass to line ceilings and sound-absorbing, cement-based substances to coat tunnels. Pallasmaa mentions in his book that contemporary cities have lost the type of echo that characterizes a city, with piped in music and streets that can’t return sound because they are so broad and full of noise. “Our ears have been blinded,” he wrote.